This wonderful chest has a timeless look with its creamy Seabrook Sand finish, scalloped shape and rich Brown wood grain top. 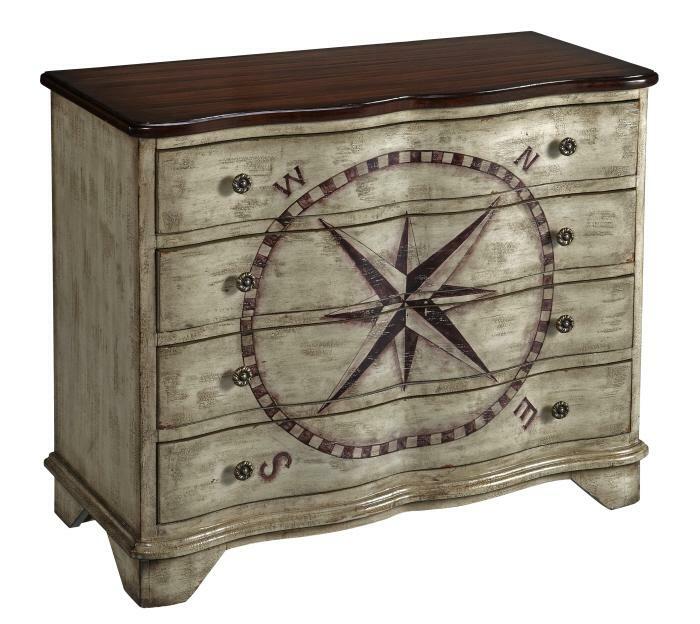 Across the four drawer fronts is a beautifully rendered compass design, and decorative metal pulls. The Coast to Coast Accents 4 Drawer Credenza by Coast to Coast Imports at Miskelly Furniture in the Jackson, Pearl, Madison, Ridgeland, Flowood Mississippi area. Product availability may vary. Contact us for the most current availability on this product.